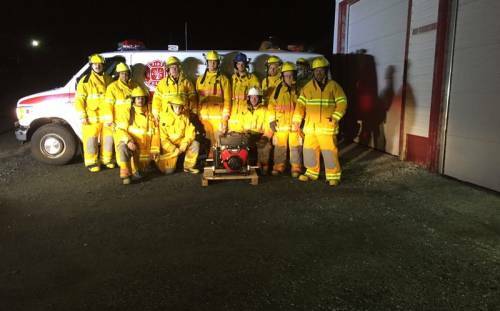 Thanks to a recent $25,000 IGA grant, the St. Lunaire-Griquet Fire Department has a complement of new equipment to assist in its work in the area. New bunker gear for every member was provided, as well as a mobile water pump. The IGA wishes the department all the best in its endeavors, and is very pleased to have supported this project!